WestSideBMX.com: Nema steps up for the Mini ams. 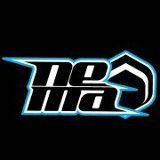 Nema has stepped up big as a sponsor for the NorCal Love2 mini-ams. This year the winner of each class will get a custom limited edition Champion jersey. Nema makes the jerseys for team westside as well so I can tell you they will be incredible.